Against the Odds: An Autobiography, by James Dyson. - book suggestion. Born 2 May 1904; died 5 Dec 1992 at age 88. American anthropologist and archaeologist whose investigations of the ancient Indian civilizations of the southwestern United States and South America focussed on the preceramic and ceramic archaeology of the southwestern U.S. and Mexico; the archaeology of the Hohokam, Mogollon, and Anasazi Indians of the southwestern United States; and the archaeology of the Chibcha Indians of the northern Andes. He assembled one of the first prehistoric-to-historic archaeological records of the Southwestern U.S.
Born 2 May 1903; died 15 Mar 1998 at age 94. Spock on Spock: A Memoir of Growing Up with the Century, by Benjamin Spock. - book suggestion. Born 2 May 1866; died 26 Sep 1900 at age 34. Jesse William Lazear was an American physician and bacteriologist who died of yellow fever in Quemados, Cuba, during his own research into the cause of the disease. He graduated from Columbia's medical school, worked at the Pasteur Institute in Paris, and upon an outbreak of yellow fever in Cuba he was appointed an assistant surgeon in the U.S. Army. As a member of the Yellow Fever Commission with Walter Reed, James Carroll and Aristides Agramonte, he was in Cuba early in 1900. Their investigation yielded proof that the disease was borne by mosquitoes. Unfortunately, Lazear was bitten accidentally by an infected mosquito. Five days later, he developed yellow fever and died on the seventh day of his illness. 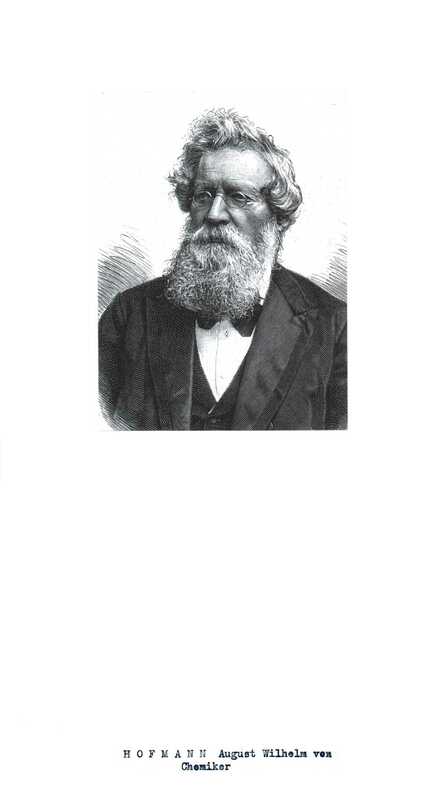 Scottish zoologist and classical scholar, who is noted for his influential workOn Growth and Form (1917, new ed. 1942). It is a profound consideration of the shapes of living things, starting from the simple premise that “everything is the way it is because it got that way.” Hence one must study not only finished forms, but also the forces that moulded them: “the form of an object is a ‘diagram of forces’, in this sense, at least, that from it we can judge of or deduce the forces that are acting or have acted upon it.”' One of his great themes is the tremendous light cast on living things by using mathematics to describe their shapes and fairly simple physics and chemistry to explain them..
Born 2 May 1802; died 4 Apr 1870 at age 67. German chemist and physicist who discovered the Magnus effect (the lift force produced by a rotating cylinder, which for example, gives the curve to a curve ball). In chemical research, he discovered the first of the platino-ammonium compounds compounds. Magnus's green salt is [Pt(NH3)4][PtCl4]). With diverse interests in science, he also worked on the absorption of gases by blood, expansion of gases when heated, vapour pressures of water and various solutions, electrolysis, induced and thermoelectric currents, optics, magnetism and hydrodynamics. In 1865, he represented Prussia at a conference called to introduce a uniform metric system of weights and measures into Germany. Born 2 May 1797; died 29 Apr 1864 at age 66. Abraham Gesner, by Joyce Barkhouse. - book suggestion. Born 2 May 1773; died 13 Feb 1845 at age 71. Philosopher and physicist, who combined scientific ideas with German Idealist metaphysics. He was a professor of mineralogy at Halle in 1804 and professor of physics at Breslau in 1811. Though Steffens did much sound scientific work as a physicist, he had the fondness ofs a philosopher for using scientific fact as a basis for the construction of fanciful analogies and quite arbitrary metaphysical conclusions. His exposition of a philosophy of nature in Grundzüge der philosophischen Naturwissenschaft (1806; "Philosophical Characteristics of Natural Science") showed a typical combination of profound scientific knowledge and Schellingian speculation. Born 2 May 1601; died 28 Nov 1680 at age 79. Died 2 May 1997 at age 84 (born 11 Jun 1912). Canadian-born American cell biologist who developed techniques for electron microscope studies to determine the internal structure and organization of cells and tissues. As a graduate student at Harvard, he developed a method for nuclear transplantation in frog eggs. In 1945, he described the structure of the endoplasmic reticulum. In 1952-53, Porter with George Palade and Fritiof Stig Sjöstrand perfected thin sectioning and fixation methods for electron microscopy of intracellular structures, especially of mitochondria. He used scanning electron microscopy for visualizing the surfaces of cells and tissues and applied it both to tissue culture cells, and to organs and tissues that were dispersed by chemical or mechanical treatment. The Role of Mathematics in the Rise of Science, by Salomon Bochner. - book suggestion. Died 2 May 1981 at age 85 (born 12 Jan 1896). U.S. psychologist and inventor of several widely used intelligence tests for adults and children. During WW I, while assisting Edwin Garrigues Boring (1886-1968) in testing army recruits, Wechsler realized the inadequacies of the Army Alpha Tests (designed to measure abilities of conscripts and match them to suitable military jobs). He concluded that academically defined "intelligence" did not apply to "real life" situations. After leaving the military and more years of research, he developed the Wechsler Adult Intelligence Scale, and introduced deviation scores in intelligence tests. He developed the Wechsler Memory Scale in 1945, Wechsler Intelligence Scale for Children (1949), and Wechsler Preschool and Primary Scale of Intelligence (1967). Died 2 May 1979 at age 76 (born 26 Feb 1903). Italian chemist who contributed to the development of high polymers useful in the manufacture of films, plastics, fibres, and synthetic rubber. Along with Karl Ziegler of Germany, he was honoured in 1963 with the Nobel Prize for Chemistry for the development of Ziegler-Natta catalysts. Natta found that certain types of Ziegler catalysts lead to macromolecules with a spatially uniform structure, called isotactic chains. Whereas ordinary hydrocarbon chains are zigzaged, isotactic chains form helices with the side groups pointing outwards. Such polymers give rise to novel synthetic products. Examples are light but strong fabrics, and ropes which float on the water. Died 2 May 1958 at age 85 (born 19 Feb 1873). The Indian Tribes of North America, by John Reed Swanton. - book suggestion. Died 2 May 1946 at age 83 (born 25 Mar 1863). American pathologist and bacteriologist who isolated (1899) a common strain (Shigella dysenteriae) of dysentery bacillus and developed a curative serum for cerebrospinal meningitis (1907). He directed a research team that identified the poliomyelitis virus. At the Rockefeller Institute of Medical Research, he was director of laboratories (1903-35), and director of the Institute (1920-35). For thirty-five years he cultivated the spirit and guided the work of the institute, while implementing John D. Rockefeller's vision of bringing medicine into the realm of science. Died 2 May 1934 at age 59 (born 25 Jul 1874). English physiologist whose prolific contributions to a modern understanding of body functions include Starling’s hypothesis (in which he described the forces that propel fluids through blood vessels) and his discovery of how hormones and nerves control digestion. He coined the term hormone for the body’s chemical messengers from the endocrine glands (1905). His “law of the heart” stated the strength of the heart contraction is proportional to the stretching of the heart muscle. He discovered the functional significance of serum proteins. In 1902 along with William Bayliss he demonstrated that secretin stimulates pancreatic secretion. In 1924, along with Ernest B. Verney, he demonstrated the reabsorption of water by the tubules of the kidney. Principles of Human Physiology, by Ernest Henry Starling. - book suggestion. Died 2 May 1925 at age 76 (born 6 Dec 1848). Died 2 May 1908 at age 57 (born 12 Mar 1851). German chemist whose research on aniline, with that of his former student Sir William Henry Perkin, helped lay the basis of the aniline-dye industry. He was the first to prepare rosaniline and its derivatives and researched many other compounds, including the discovery formaldehyde. In the field of organic chemistry, Hofmann is best known for his studies of the organic derivatives of ammonia and phosphine and for his subsequent discovery of the Hofmann degradation reaction. He also developed the Hofmann method of finding the vapor densities, and from these the molecular weights, of liquids. He also helped to popularize the concept of valence (the word comes from his term quantivalence). He founded the German Chemical Society. The Chemistry of Vat Dyes, by Dianne N. Epp. - book suggestion. Died 2 May 1857 (born 1813). Photography: Essays & Images; Illustrated Readings in the History of Photography, by Beaumont Newhall (ed.). - book suggestion. The Science of Leonardo: Inside the Mind of the Great Genius of the Renaissance, by Fritjof Capra. - book suggestion. Booklist for Leonardo da Vinci. In 1887, an application was dated for the first U.S. patent for celluloid photographic film, submitted by the Reverend Hannibal Williston Goodwin desribing his invention of "nitro cellulose transparent flexible photographic film pellicles." The patent was issued 13 Sep 1898 (No. 610,861). He made a sale of one roll at $2.50 to Thomas Alva Edison on 2 Sep 1889. In 1775, Benjamin Franklin completed the first scientific study of the Gulf Stream. His observations began in 1769 when as deputy postmaster of the British Colonies he found ships took two weeks longer to bring mail from England than was required in the opposite direction. Thus, Franklin became the first to chart the Gulf Stream. Benjamin Franklin: An American Life, by Walter Isaacson. - book suggestion.